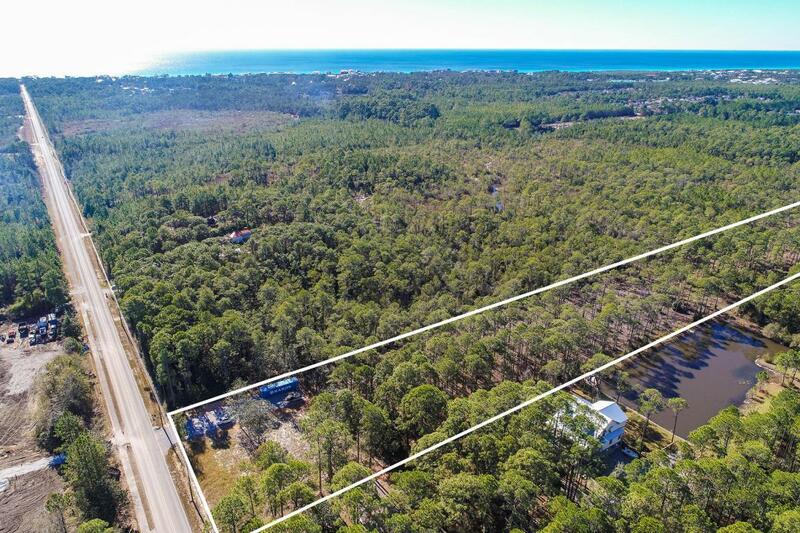 5 acre parcel South of 98 covered with beautiful trees. 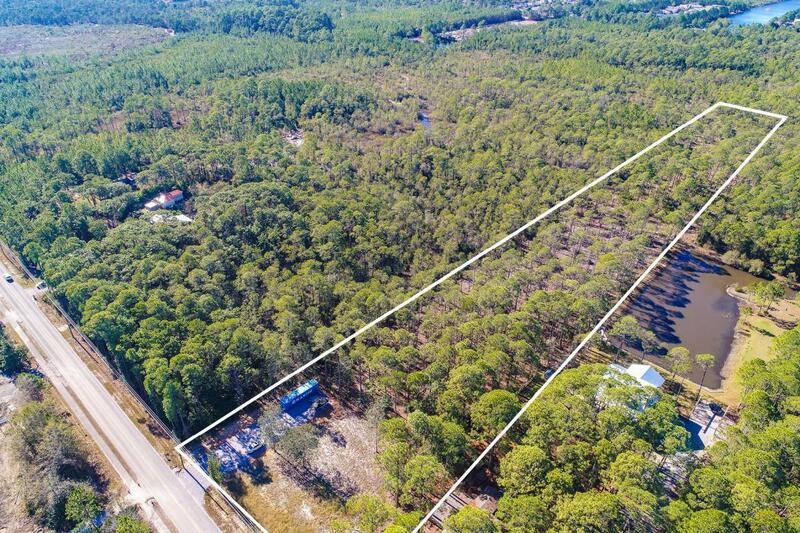 Property has mixture of uplands and wetlands with a large building footprint at front of property. Building site is ready to go and is in flood zone X. 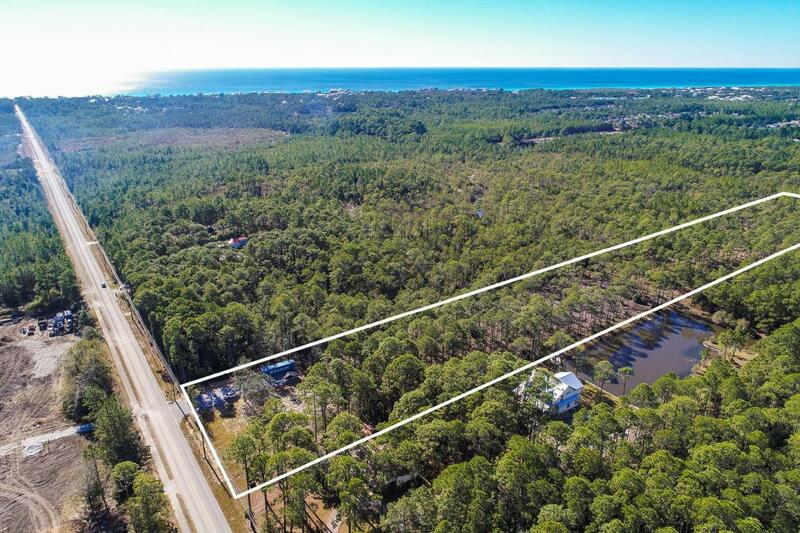 No HOA or build out time, short drive to the beautiful beaches of 30a. Entire property has been mowed, heavy duty compacted fill parking pad installed and ready for RV, boat, garage or barn. 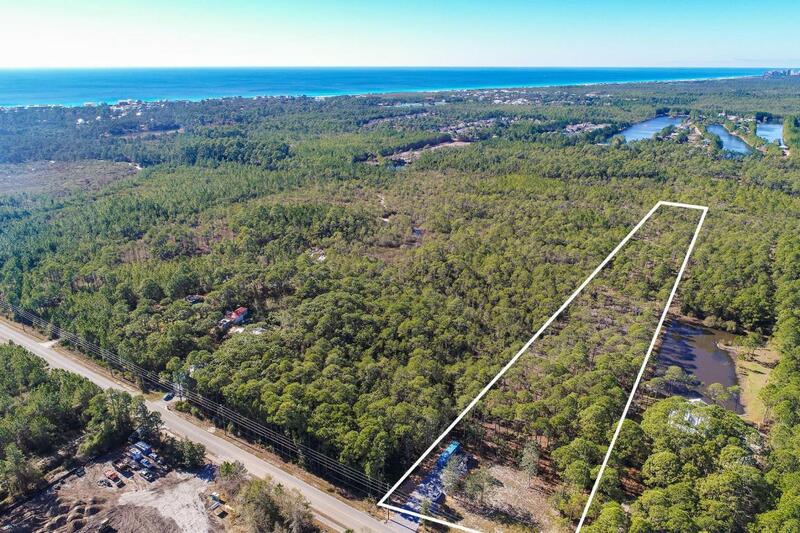 Call today for details on this great parcel that borders a State Forest.